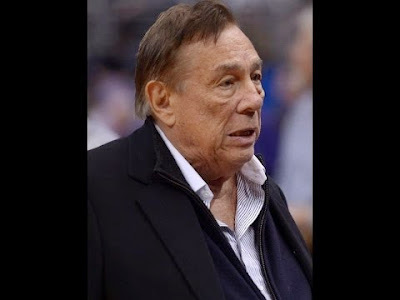 myblackfriendsays.com: Donald Sterling's Terrible, Horrible, No Good, Very Bad Day. Good post. poor donald. When 80 years I reach, I hope hate and sugar daddying are far from what I am doing. Also, this is a smokescreen for net nuetrality, society is fully controlled. Well, they just banned him for life and fined him $2.5 million. I'd say that was punishment enough. You can't force the man to sell his team. At least not in America. I was wondering if they could buy him out but I don't think you can force him to sell his team. As for your first two comments I do agree, (or tend to agree) with them, but I disagree with the third comment about the players. They probably were under some sort of contract to continue to play or face some sort of penalty. They did what they could while still making money for their family. Remember, the more you make the more you spend. By the way, Shaquille O'Neal is retired and making good money as a commentator. Most people in America make their money via labor, whether manual labor or intellectual labor. The NAACP was probably giving him the humanitarian award because he does support employment of black players, or at least that was the guise under which they were awarding him the lifetime achievement award. The real reason however, is they were recognizing the amount of money that he gave to the NAACP. They probably were just as much in the dark as we all were concerning his true feelings about blacks. btw, my comment above was written as Silver was still announcing his decision. I guess they can force him to sell his team, based on what I am hearing. I wonder if his wife will be allowed to buy it...smh. The league can TRY to force him to sell his team. The vote will likely be 29-0 from other owners for him to sell. He will likely sell to Geffen/Ellison/Winfrey as they can pull together a consortium to get the deal done quickly. I agree with DeAnna that the players shouldn't have played. Regardless of a paycheck, you have to stand up for what civil rights leaders fought and died for to maintain those rights. We can't ignore it because it's not convenient. Here's the challenge you have if he doesn't sell: What player is going to sign with the Clippers in free agency after Sterling just told the world he's fine with minorities as long as they are subservient to him? No black player is going to sign and I doubt that any player of any caliber/can get a decent check on any other franchise is going to sign and deal with the backlash of playing for him. The reality is that he brought this on himself and he's going to have to step aside. If he's stupid enough to fight to keep the team in court (which is very possible), every player and the coaching staff is likely going to ask to leave. Then his franchise will likely be worthless and it will be an incredible mess. Hopefully, he has enough since to walk away and make a lot of money on the sale.